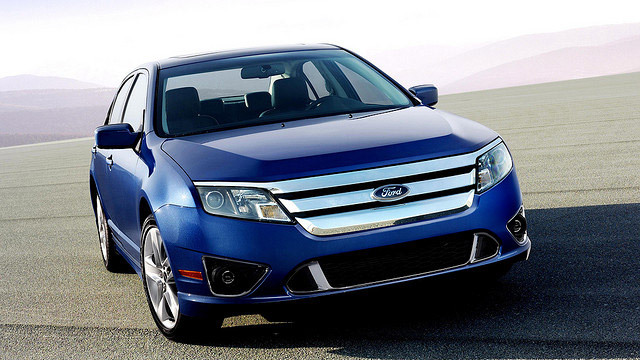 We are proud to serve Denver area Ford owners with outstanding service, competitive prices, and high-quality work. The certified technicians at Importsports Auto Repair Pros are experienced with the entire Ford line from the Fiesta, Focus, Fusion, Mustang, C-Max, and Taurus to the Escape, Edge, Explorer, Flex, Expedition, F-150, and Ford Hybrids. With our certified technicians using the latest technology and best practices, you can rest assured that your vehicle is in qualified hands. Your Ford was built and designed to handle tough road conditions and to run for many miles. The best way to ensure you experience a well-running vehicle for years to come is to schedule regular maintenance appointments when the automobiles are approaching their factory recommended mileage intervals. It is also essential to make repairs to your Ford as soon as you recognize the need for them as putting off maintenance or repairs can often lead to further damage being done and a much more costly price tag. When you bring your vehicle to us, we will thoroughly inspect it and let you know anything we find that may need further attention. From engine problems, to more simple services like new brakes or a tire rotation, we are here to help you. We are happy to answer any questions you may have. Call Importsports Auto Repair Pros today on (303) 752-2422 to speak with our knowledgeable staff, visit us at 7667 East Iliff Ave. Unit I, Denver CO or make an appointment online with us!